The workshop took place in six phases. The third day was the shooting day. 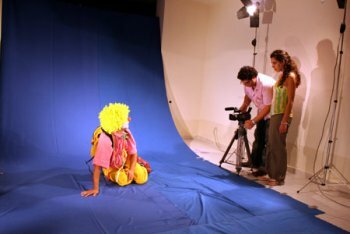 Jancouz was on a blue screen which can be deleted at the editing with the “chroma key” technic. At the end we have a mixed media object. The aim of this workshop was to crete relations between the art of the scene and the art of the screen.